Most of you reading this right now would salivate at the chance to acquire a category-killing name like Escrow.com, simply for the reg fee. For anyone who has ever settled a court case, bought and sold real estate or an expensive car or boat, the word "escrow" has clear meaning and strong resonance. Hand-registering Escrow.com is exactly what Fidelity Title did in 1999, when they believed escrow services would mesh nicely with their title business. It was only a couple of years earlier when Bank of America paid $4 million to lock out all of its competition - and grab the lion's share of the business - with the acquisition of loans.com. Escrow.com is in the same inner circle of names that say what they are - a name no one else can use. But after investing $40 Million in the company and its technology, simply gearing up to do real estate transactions and escrowing $10 eBay trades at $2.50 each, Fidelity Title started to sour on Escrow.com, thinking it “the ugly red headed step child” unit of their business. They were happy to dispose themselves of it in 2002 in a trade with ilumin for a software license. PLUS, they were ready to fire up a very expensive ad campaign to bolster the new name. “That would fix the mistake of branding generically,” management thought. Fortunately, they also called in Brandon Abbey, a former ilumin executive whose division had been sold to Computer Associates. Abbey saved the staff (the best part of the first owner’s $40 million investment) and wisely held onto the domain name Escrow.com. As the dotcom bust left all sorts of other great ideas in its wake, Abbey turned the company's philosophy around to take Escrow.com to the top. He brought in an investor and the company was purchased outright. While previous owners took a consultant approach, Abbey realized that the name Escrow.com was an intrinsic asset. Escrow. Visualize the business and what do you get? A yawn-inducing money-handling operation overseen by fussbudgets in green visors, sporting pince-nez and pursed lips in sterile offices where the loudest noise is an occasional sigh of utter ennui - that there is no other enterprise in the world as thunderously dull as this one. And who's the boss? Some argyle-sweater wearing mega-milquetoast who makes Barney Fife look like Rambo. We wouldn't write a paragraph like that unless we were going to hit you with a huge u-turn - that the escrow business, run right, isn't for pussies. It's like waltzing through a minefield. Bad things happen. People want to cheat, beat you up, take their money and run. In fact, Abbey and his staff realized they were an industry entering a medium (online) that was a cesspool of fraud. “It was like the wild west before the Sheriff got there,” Abbey told me. To do it right, you need to be interminably patient, icy-veined, and steely-nerved. Tough, battle-tested, and Buddhist all at the same time. For Abbey, it's more compelling to show it than say it. 0134:21 CKP (radio): Can we land, tower? 0134:25 TWR: Air Cal 336, please go around sir, traffic is going to abort on departure. 0134:29 CKP: Flaps fifteen. Gear up. Abbey was in seat 14C, five rows from the exit row. What was he thinking? “At the time I thought this is the wrong time for this to be happening to me, I have a 7 month old daughter.” After the plane finally came to a screeching halt on its belly, "I made sure everybody got off the plane in front of me, and when it came my turn my thought was now I’m going to have to jump 10 or 15 feet to the ground going out this little window in the exit row. Well with no landing gear and no engines underneath that plane, it was right on the ground. So everybody gets off the plane and runs away and the plane catches on fire." Abbey's actions on the plane say more than we or anyone else could. For him, the experience hardened his resolve not to "sweat the small stuff," and that staying cool under fire - and helping others - would pay its share of dividends. And that's how he runs Escrow.com, which has become the internet's largest and most respected escrow company - this January surpassing $1 billion in transactions in just about everything (except real estate): cars, boats, antiques, art, and increasingly, domain names. More on that, below. Mistakes do happen - with airplanes and control towers, and with escrow deals. One was with a woman who bought an expensive designer purse with her credit card, got through the escrow inspection period with no problems, and then after six months discovered that the purse was counterfeit when the handle fell off. Escrow.com got hit with the chargeback, which they fought and lost when the credit card company said they would stand by their customer regardless of the six month lapse. Another incident involved a large payment by check that, despite the bank's assurance that it was good, turned out to be no good two days later. Ouch. But when you get burned, you learn. Escrow.com continually revises its policies around their experience with credit cards and personal checks (as well as designer goods, which it no longer accepts credit card payment for) to prevent these things from recurring. As a result, it has become stronger for it. Which gets us back to Escrow.com's growth business - domain names. Since the company's founding in 1999, domain name transactions have accounted for over 50% of the company’s transaction volume, and shows no signs of slowing. So how does it work - and how simple is it? Usually, it's pretty straightforward - largely because (as Abbey told us) domainers are pretty savvy about their business. Let's say buyer and seller agree on a price of $1,000 for notasnowballschanceinhell.com. They may use attorneys to draw up a contract - or not. They contact Escrow.com online, register, and agree to Escrow.com's terms - a binding legal contract, which includes the standard fee of $32.50. Buyer sends the funds to Escrow.com, seller transfers ownership of the domain to the buyer, the buyer has (usually) a two-day inspection period to make sure he/she really owns it and it is as advertised, and if all goes well funds are released to the seller. Usually, Abbey says, buyers approve of the purchase within one day instead of two. 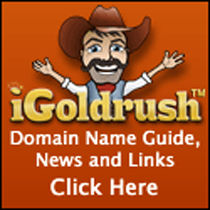 What if a seller has dozens or even hundreds of domain names for sale every week? Escrow.com can accept transactions through their API and manage internal holding accounts for sending and receiving multiple payments. This can save repeat customers time and money. 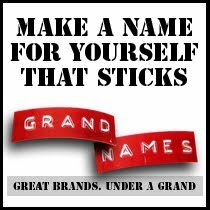 For big-ticket items (over $75,000) with the buyer paying in installments, the company offers its domain name holding service. Right now, Abbey is overseeing the transfer of Marijuana.com for $4.2 million in 69 monthly installments. It's just one of many holding service accounts the company manages every month. If everyone stays on track, the transaction closes and both buyer and seller are happy. But of course, things do go wrong. The buyer starts missing payments. Or another buyer approaches the original seller with a much bigger offer for the name. Or the seller gets cold feet. In all these cases, Escrow.com remains a neutral third party, offering all the help it is legally able to provide to try to keep the transaction on course. What an escrow company is legally allowed to do varies slightly from state to state and country to country (and nearly half of Escrow.com's business is international), so it's crucial that Abbey's entire staff - about 20 right now, averaging some 8 years' experience - know their stuff cold. New hires undergo a grueling training program and extensive background checks before settling into the company's offices in Orange County's Rancho Santa Margarita - "a great place to live," he told us. Once there, they'll work very hard, but in a casual and open office environment featuring an exercise room and the ambience of a day spa - the Zen-like calm at the center of a "perfect storm" of millions of dollars waiting to go to the right people. “Our staff is like a family who care both about each other and the business. We are a happy bunch. The best part of our job is that we laugh throughout the day,” says Andee Hill, who started as a temp answering phones and has worked her way up to Business Development Manager. When Abbey was asked to comment on Hill’s rise within the company he stated, “The talent and desire was always there, Andee just needed the opportunity. She is making the most of it and I am very proud of the work she has done.” You can find Hill representing the company at Traffic, DOMAINfest and other domain centric shows. Some of the people Mickie, Andee, Brandon and other staff are helping are the FBI. They've teamed up together to chase down escrow fraudsters, sometimes reporting up to 20 fraudulent escrow websites a week. The criminals have become ever more sophisticated and organized, and a growing threat to person-to-person internet commerce. That commerce includes domain name transactions. Ron Jackson adds, "I don’t think there is any doubt that Escrow.com plays an essential role in getting domain transactions done. A substantial portion of the general public is wary of doing business online and with all of the scam artists on the net you can’t blame them. When you have no clue who the person on the other side of the deal is, there MUST be a party in the middle whom BOTH sides can trust. A lot of buyers would never send their money into the ether on the HOPE that they will get what they paid for, and few sellers would transfer a domain name without assurance that the asset would not be lost because of a stolen credit card number or some other fraudulent form of payment." Adds Frank Schilling, one of Escrow.com’s high-ticket, highest-volume domain brokerage partners, "Escrow.com has become a valued independent continuity agent for DomainNameSales.com. Domain Names have always been valuable intangible assets. Buyers and sellers are often forced to move haphazardly through the transfer process and there are holes in continuity of title and payment. By integrating a neutral third party stakeholder like Escrow.com into DomainNameSales.com we have a clear path to secure payment, formalize commissions for independent brokers and transfer title to the benefit all parties. I'm genuinely glad to have them in the mix at DNS." As for Abbey, he’s enjoyed everything he’s ever done. He is especially proud that Escrow.com “allows people to transact in a safe and more secure way." And he's grateful for everything Andee and Mickie have done to help the company. "They've been as much a part of our success as anyone, including me." Escrow.com indeed takes good care of their employees with generous benefits packages. Two long term employees told me, "We wouldn’t have such great jobs today nor be looking forward to four weeks vacation this year, had Brandon not been chosen. He is the leader and motivator and when he got here there were a few ‘projects’, needless to say they didn’t last long. His philosophy is that we want a mutually beneficial relationship - if it works for us and it works for you and we both make money, everyone is happy.' "
Brandon Abbey has designed it that way, from his own internal wiring. Whether helping evacuate passengers from a crashed plane or nursing a multimillion-dollar complex deal through to completion, you've got to stay cool.